Life Outside Studio is a collaborative of two successful outdoor lifestyle creatives and athletes, Hailey Playfair and Ryan Richardson. Hailey and Ryan travel to the far reaches of the earth in pursuit of epic tales bridging the gap between humans and nature. 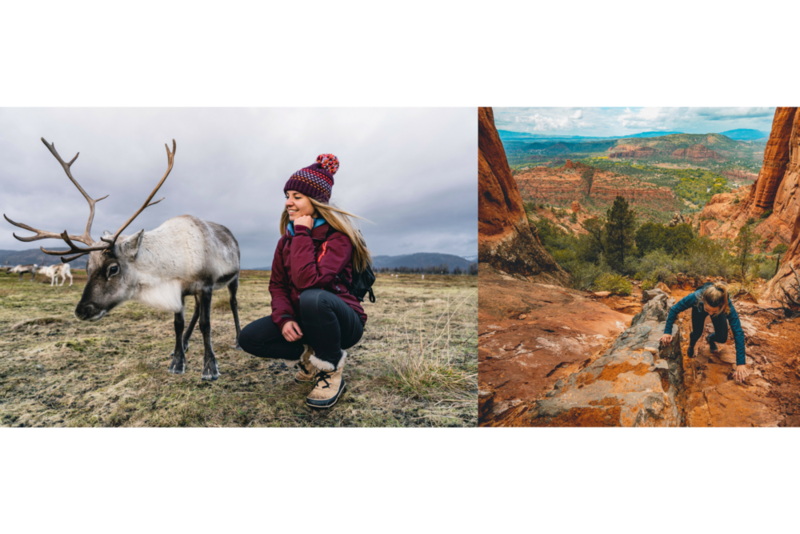 Invoking a spirit of adventure and wanderlust, Hailey and Ryan hope to inspire others to get outside and experience their own adventures in nature. Hailey and Ryan's photography and films often mirror the outdoor activities they themselves participate in. Being an active participant in the subject matter they shoot gains them a unique and fresh perspective. Constantly in pursuit of the four seasons, their activities and subject matter constantly revolve around running, climbing, backpacking, surfing, skiing, ice climbing and more. This passionate duo has successfully executed small footprint productions all around the world. Often, in remote and wild regions few people have even heard of. Their vision has earned them the opportunity to represent industry leading outdoor brands, international magazines, elite athletes, and world's firsts expeditions. "Life outside studio has been a solution to an ongoing problem... How to connect an international audience to an unfolding story... a story captured, and told, from the most extreme, and remote regions on earth, and shared to inspire, empower, and educate students around the world."